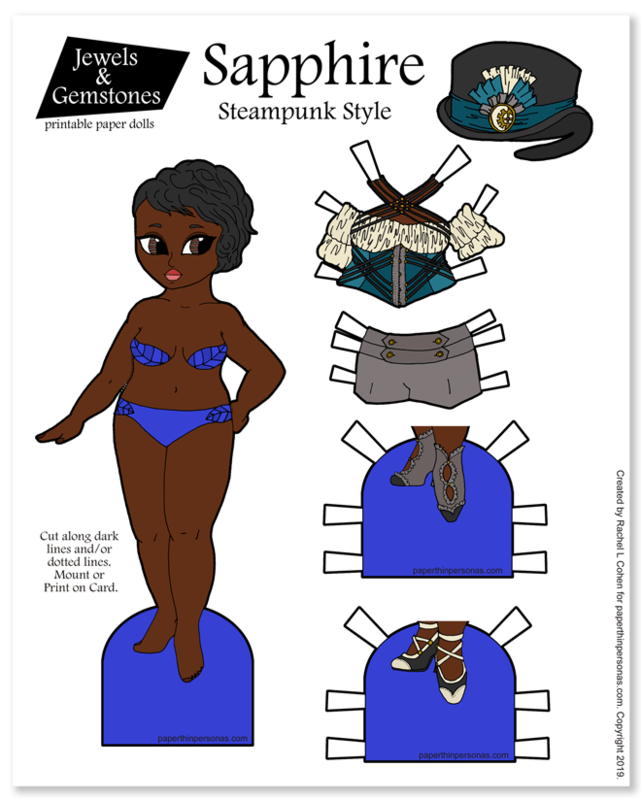 This is the second Abigail paper doll. 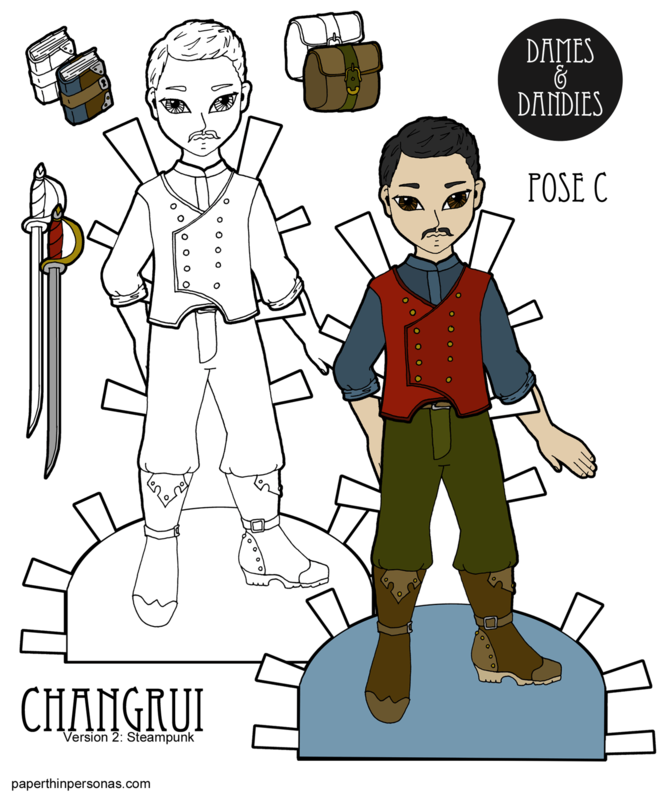 I tend to draw my new dolls in sets of two, so that there’s at least two of them to start with. I want there to be lots of variety on the blog, but also mix and match options. It’s a constant balancing act between my urge for “all the skin-tones” and the reality that there’s literally millions of them out there and I can’t possibly achieve that. So, I drew Abigail, because I didn’t already have a black paper doll for the A Pose girls. Her skintone was chosen, because both Cameron and Beatrix (my other two black paper dolls) had the same skintone and I wanted some variety. As always, I try to give my contemporary dolls three shoes and those shoes are ideally versatile enough to go with evening gowns or fantasy dresses, depending.